What's better than a giant inflatable arena? A giant inflatable arena with Disco Lights! Our amazing special effects lighting literally makes the first play arena light up like a disco! Each child will receive a pair of stylish disco glasses! Your birthday child will receive a fun disco necklace. Pump up the party with Disco & Glow for $60.00! Magical fun for your little ones! 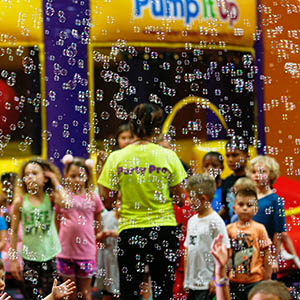 Our Bubbles experience adds that extra "pop" to your party, adding to the fun, and making for an even more memorable experience. Includes 2 6-minute showers of Bubbly Blasts in our 2nd Play Arena. What's better than a giant inflatable arena? A glow-in-the-dark giant inflatable arena! Our amazing special effects lighting literally makes the second play arena glow. Each child will receive a glow-in-the-dark necklace, and your birthday child receives a special light-up baton! What better way to add excitement to your child's party than to have a cool character show up? Call us to find out what special characters we offer! Includes a 15 minute visit in our second Play Arena. For an additional $20, the Character will also visit for 10 minutes in the Party Room to add special fun to your child's entrance and birthday song! 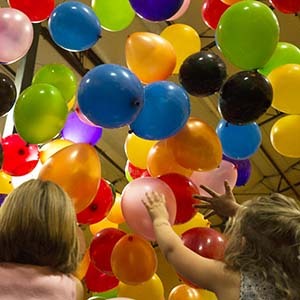 Don't miss a moment of your kid's party! We'll take the photos while you join the fun. After the party, you can access and share your photos online! Don't worry about taking pictures, we are handling that for you! 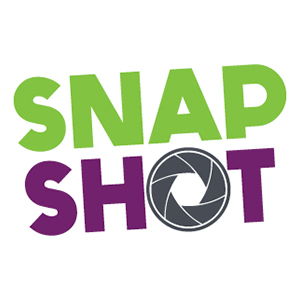 Throughout your event, we will be taking pictures of your kids having a great time. We will provide you with a website and picture code for you to download and share your experiences with anyone you want! This bag includes a variety of fun toys and novelties to enjoy! Contact our store for more details. Making party pics easy peasy! Your staff will take photos throughout your playtime for viewing in the Party Room. A download is available for purchase after the party! 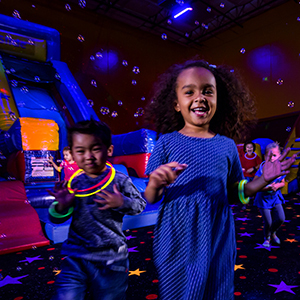 Welcome to kids favorite birthday party place in Silver Spring! Awesome kids birthday parties are guaranteed with our giant inflatable indoor playgrounds, tons of games, a blow-up birthday throne, and more. 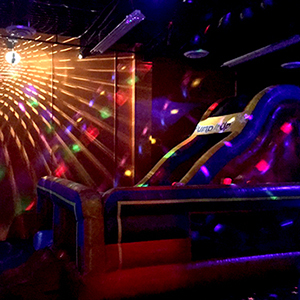 Your group always gets your own bounce house arenas and private party room at Pump It Up. Kids are treated to all their favorite foods, drinks and party favors, thanks to our customized party packages. The whole celebration's a breeze - reservations, party time and even clean up - thanks to our party pros.